The purpose of Worship is to celebrate God’s presence in our midst. Through the Gospel of Jesus Christ and God’s saving Grace, we have been transformed. On Sunday mornings, we gather together to express our thankfulness and love for our Lord and Savior. This is the essence of the Sunday Celebration. It provides an opportunity where we can worship God together and hear the word of God proclaimed. First, we come together to worship and glorify God. So you can expect to join with us as we lift our voices in song and prayer to worship God. Our music is a blend of old hymns and contemporary worship songs. Second, we come together to celebrate His presence, to be strengthened by His promises, and to be transformed and challenged by truth. So you can expect to encounter God with us in worship and the preaching of God’s word. 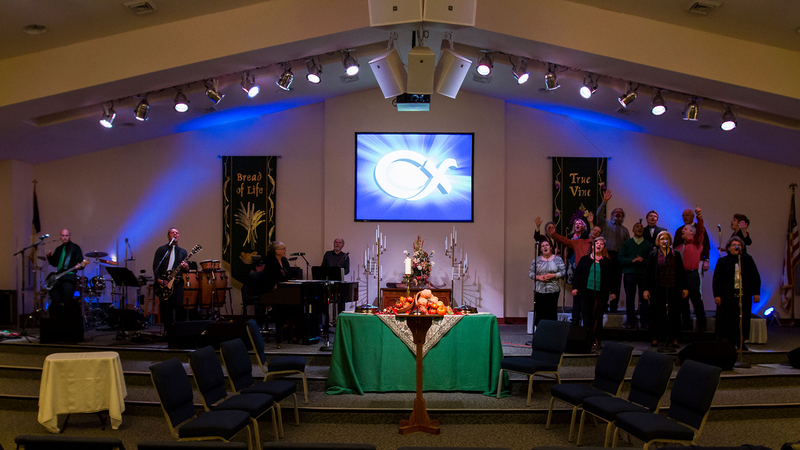 Our services are Christ-centered and Biblically relevant. Sermons are Scripturally based with practical application. We will encourage all disciples to be highly committed to continued growth. Third, we come together to encourage each other. So you can expect to feel welcomed from the moment you arrive and to see people caring for each other through prayer, words of encouragement, sharing of Scripture and other ways. We invite you to come dressed however YOU are most comfortable. We conduct two services every Sunday – at 8:15am and 10:45am and we hold one hour Bible study classes for all ages in between the services (9:30am). During each service we offer a program for children up to third grade called COOL Kids. 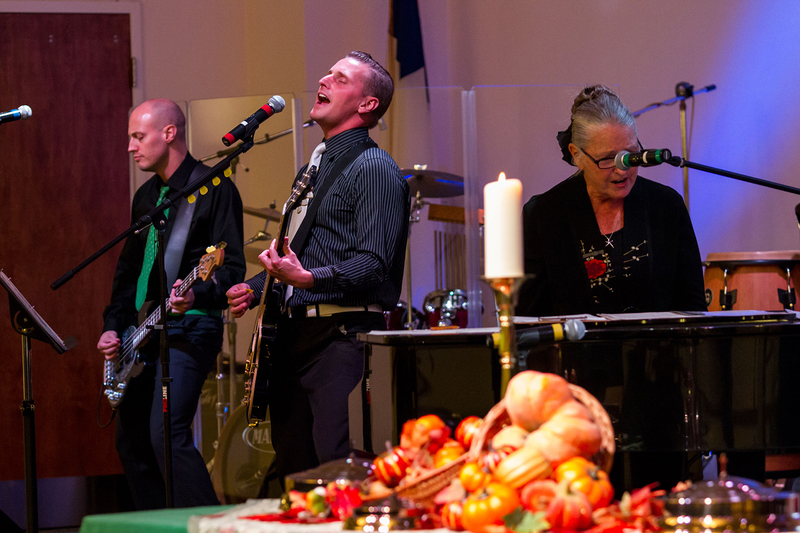 We invite you and any others to join us for any or all of our Sunday Celebration (pictured below). We also invite you to share our worship celebration on Wednesday evenings at 6:30pm. CDs are available for all of our Sunday worship services. If you would like a copy or know someone who would, call 610-384-1375 or email us for more information.